I am fascinated with history. This picture, to me, represents the intersection of two highways. 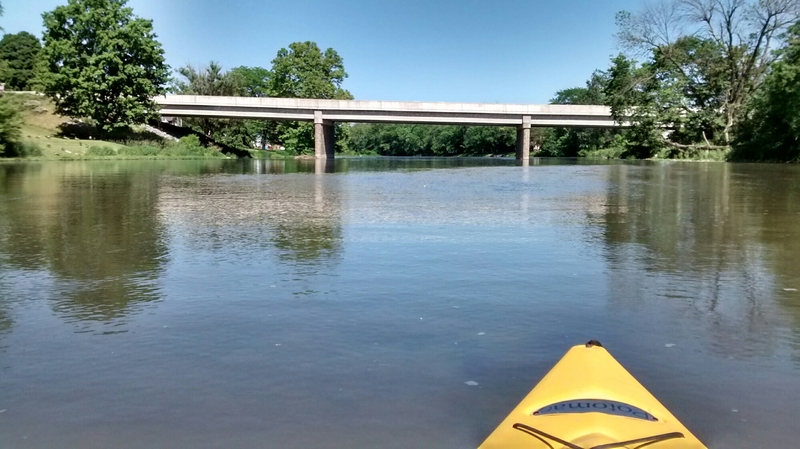 The river was the highway of the past, and the road represents the highway of the present. 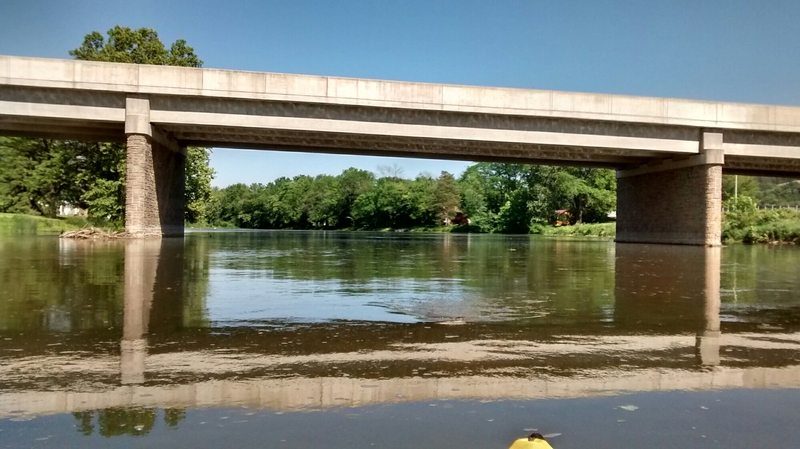 Last Saturday was a beautiful day to be on the water in central Pennsylvania. I love the clarity of the reflection, and the symmetry it creates. This may seem like a rather odd picture, but I loved it. 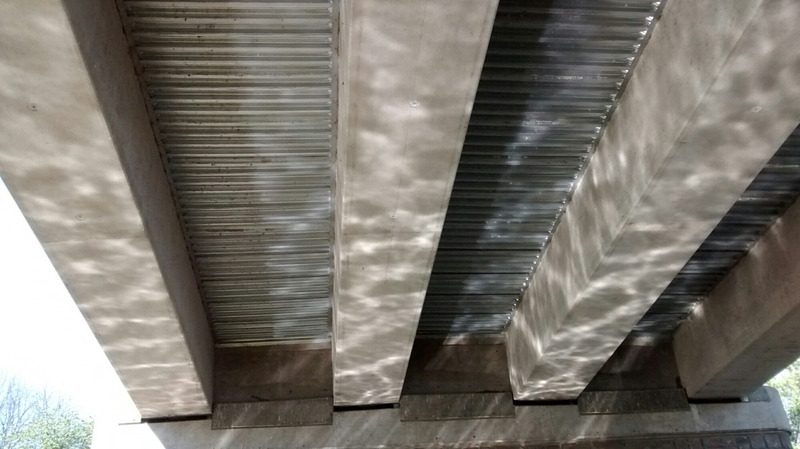 The pattern you see is the reflection of the sun on the water playing against the bottom of the bridge in the previous photographs. I think this post might qualify for my next entry in Cee’s Which Way Challenge. Wonderful photos. I like the water reflecting on the bridge. Thank you Cee. I was a little worried about taking my phone kayaking with me, but couldn’t bear the thought of being unable to take pictures. I found the results worth the worry. Congratulations! I have selected this post to be featured on Cee’s Which Way Challenge. Thank you. My week has been going well, and you just made it better. I hope yours is equally enjoyable. It most definitely getting there. Thanks Dave. Oh how beautiful and peaceful. You are most generous Cee. Thank you!